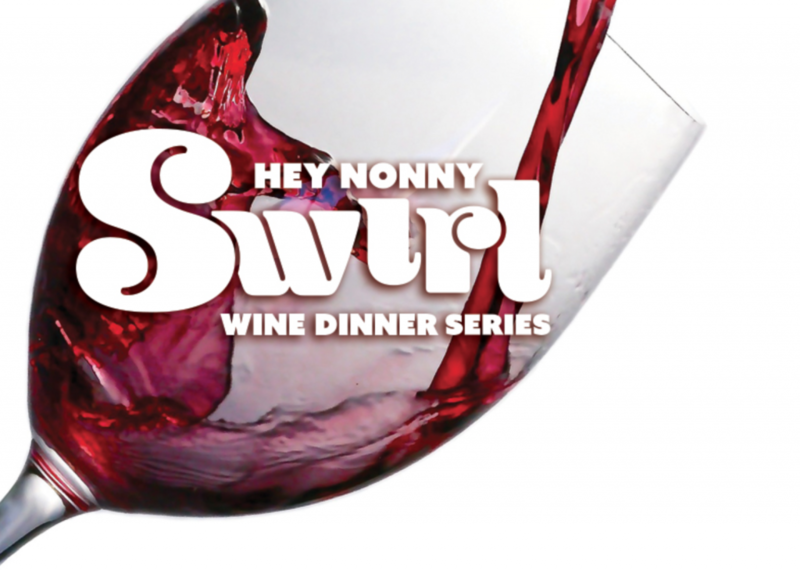 The Artist for Hey Nonny’s SWIRL wine dinner series is Executive Chef Jay Ruff. You know that Chef Jay is truly creative force in the kitchen, but what you may not know, but will discover during this wine tasting and tasting dinner: he’s a highly entertaining host. Each SWIRL event will feature an array of wines from a different corner of the globe, with a gourmet 5-course tasting dinner presented by Jay. Our next dinner, July 23, Vino Bellissimo, will dive deep into Chef Jay’s Italian heritage. He will take us back to his Sicilian grandmother’s kitchen and start us off with the light delicacies of the Southern tip of Italy, then guide us on a culinary tour as we head north eventually reaching the rich dishes of Northern Italian cuisine. We will tour the Italian regions South to North through delicious wines and authentic plates that Chef Jay holds near and dear to his heart. Each wine and it’s paired course reflects the region of its origins. Price: $78 includes 5 wines, 5-course dinner, and music. Buy tickets at Heynonny.com now!